But figuring out the right equations, now that’s the trick. 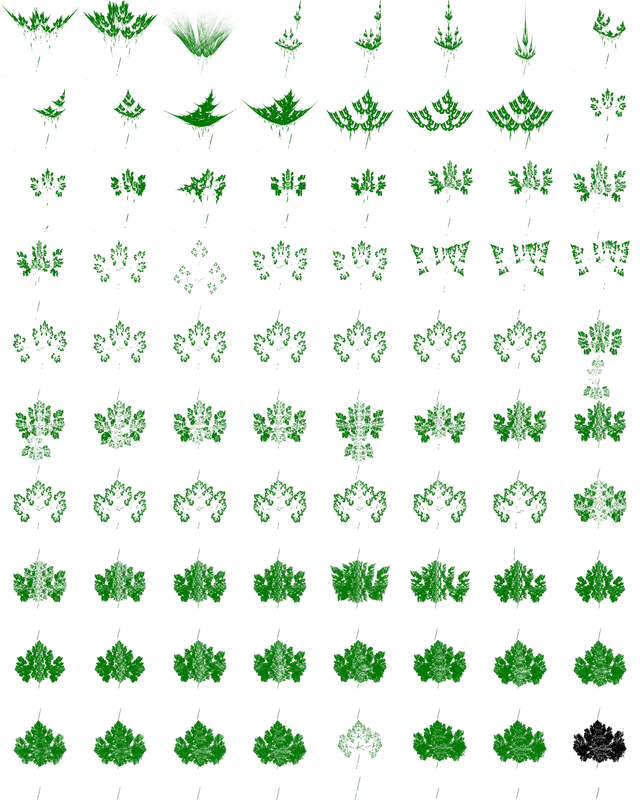 In case you’re wondering why it’ll probably take me a number of months to accurately model my beard (thanks Brian Buckley) here are my 80 attempts to model a leaf from my backyard. The black is the “final” leaf (when I gave up). You can click this picture for a higher quality render. Just an example of some of the “behind the scenes” work that’s going into the Fractal Book (specifically Chapter 2). Happy fractalizing! The final version is the best! I’m so glad you hung in there for 80 tries.